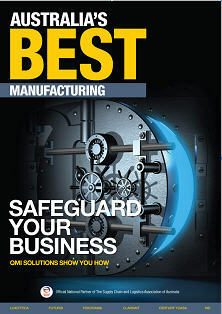 Bean Media Group say "Well done" to Clariant who have been chosen as a key editorial feature in the recent edition of Australia's Best Manufacturing. Clariant is a global leader in the field of specialty chemicals. Strong business relationships, commitment to outstanding service and wide-ranging application know-how make Clariant a preferred partner for its customers. Clariant, which is represented on five continents with over 100 group companies, employs around 20,000 people. Headquartered in Muttenz, near Basel, Switzerland, it generated sales of CHF 8.1 billion (A$9.3 billion) in 2008. Clariant's products and services are dedicated to the needs of a host of industries and business sectors. These include industrial and consumer, pigment, masterbatches, textile, oil and mining, paper, additives, detergents and intermediates, leather and emulsions. Clariant is committed to sustainable growth springing from its own innovative strength. Clariant's innovative products play a key role in its customers' manufacturing and treatment processes or add value to their end products. The company's success is based on the know-how of its people and their ability to identify new customer needs at an early stage and to work with customers to develop novel, efficient solutions.